Overwhelming debt can cloud your thinking. You just want relief and when you see a promise that will magically “make it all go away,” it looks like a really great idea. 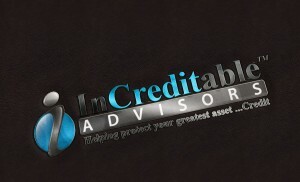 InCreditable Advisors warns you to beware. When you are under pressure with too much debt, the first thing you need, more than anything else, is honest, unbiased advice about the best approach for getting out of debt – and staying out of debt. You may think it’s too late for financial counseling, but it’s never too late to learn debt management skills. You’ve heard that old saying, “If it looks too good to be true, it probably is.” There is a lot of truth to that. Not only are some of those solutions too unrealistic, they can be very, very costly and add to what you owe. Some companies will charge fees of up to 20 or 30% of the amount of debt enrolled in a debt settlement plan. That can result in a huge cost and there is no assurance any of the debt will be reduced. The fee is fixed no matter what the outcome and is often due at the start of the process. Here at InCreditable Advisors, we don’t agree with that approach. We base our fees on how much money we save you. There are many options available to settle overwhelming debt, but not all of them will be the solution that is in your individual best interest. InCreditable Advisors debt settlement professionals listen carefully and help you tailor debt settlement to your specific situation and needs. We work really hard to save you as much as possible and create payment plans that are affordable and get you out of debt as quickly as possible. We also provide credit and debt counseling and credit repair to prevent financial problems in your future. Don’t get swept away by companies with unrealistic plans and pie-in-the-sky promises. Don’t settle for services that are tied to how much you owe instead of how much you save. InCreditable Advisors is the only full-service Credit and Debt Counseling, Credit Repair and Debt Settlement organization in Indianapolis, Indiana. It doesn’t matter whether you need financial counseling and budgeting help or debt consolidation and credit restoration because we can do it all. Let InCreditable Advisors provide real help and debt settlement services you can live with today and guidance that will get you on the road to a more secure financial future. Call 317.202.1297 and start breathing easier today. It might just cost a whole lot less than you think! Schedule your FREE consultation Today!